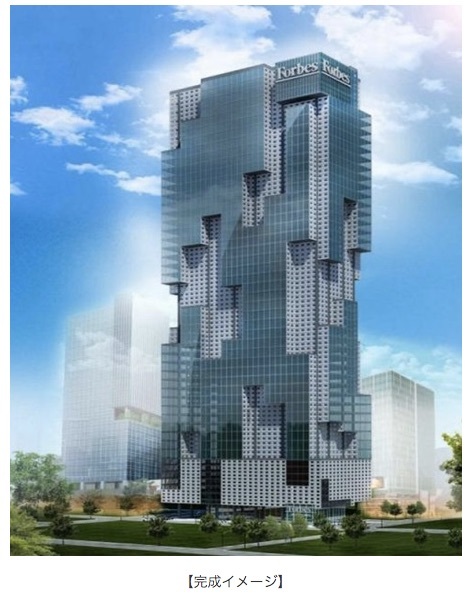 MANILA – Century City Development Corporation (CCDC), a unit of Century Properties Group Inc., and Mitsubishi Corporation have broken ground for the world’s first Forbes Media Tower in Makati City. The 35-storey office tower, located in Century City along Kalayaan Avenue, is a P4.5 billion project that is expected to be completed in 2019. The tower aims to serve the world’s business leaders with a total gross floor area of approximately 95,000 square meters. “The Forbes Media Tower aims to become an address of choice for both multinational as well as leading BPO [business process outsourcing] corporations looking to participate in the booming BPO sector, which generated $21 billion and now employs 1.3 million people, serving as a key growth catalyst and will continue as a growth driver of business in the foreseeable future,” said Century Properties chairman and chief executive Marco Antonio. CCDC and Mitsubishi Corporation have signed a joint venture agreement to develop, lease out, and maintain the world’s first Forbes-branded commercial building through Century City Development II Corporation (CCDCII), of which CCDC and Mitsubishi have 60 percent and 40 percent ownership, respectively. The agreement stipulates that CCDCII will finance the projected P4.5 billion total project cost through P2.3 billion of equity from CCDC and Mitsubishi, and a 10-year, P2.2 billion senior loan granted by the Bank of Philippine Islands (BPI). CCDCII and Mitsubishi Corporation signed the loan facility with BPI as lender in November 2015. Proceeds from the senior loan agreement will be used to partly finance the tower. The balance of P2.3 billion will be funded through equity contributions of 60 percent from Century Properties and 40 percent from Mitsubishi Corporation. (2) Century Properties Group Inc.